Nevertheless, these books might help you to get started and to be inspired. If you have stories and re-sources to share with others, please get in touch - I am looking forward to hearing from you. 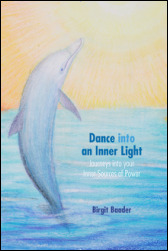 Dance into Your Inner Light supports you to develop important life skills, to connect with your inner source of power and to find balance in life. The guided imageries included in the book will also raise the awareness of interconnectedness of all life. The younger we start the easier we can integrate these "tools" into our life. Play with guided imageries, active meditation exercises (for those who don't find it easy to "sit still") and other useful techniques that will support you to make a start and hold a space to experience, explore, experiment. 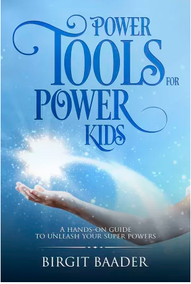 This book shows practical tools to use intuition and inner guidance efficiently to find stillness and inner power, to self-manage and to consciously direct energy, within and without, to practice various navigation and interconnection tools that will support and protect young people on their way through the modern-day-life jungle. Many of the tools are based on ancient shamanic or other age-old well-tested practices such as Yoga, Qi Gong, TM. They all help to bring balance and are especially useful in our Western societies with their focus on intellectual and physical development and education. His book is an exciting and inspiring read for all ages. I am sure you will enjoy it. 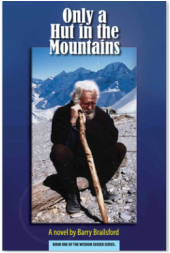 ​Barry Brailsford, researcher, scientist, shaman, wise elder, author and much more, wrote many great stories about the interconnectedness of all life. In this book he weaves strands of new science together with strands of ancient universal "truths" and new consciousness. Barry has committed many of his works to keep sacred lore alive - in this book he brings it together with new scientific findings and shows how "all is one". Don't expect a scientific book, though - Barry is a story teller, a researcher-storyteller one could say. This book is written by Otto Scharmer and Katrin Kaufer, both lecturers at MIT, and founders of the Presencing Institute. 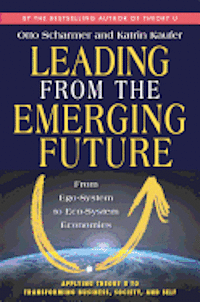 Even though they focus on economic systems, they follow a holistic approach, meaning they touch many areas of life where you can apply the principle of presencing and co-creating a future that is aimed at the well-being and sustainability of all life. Scharmer and Kaufer write about inspiring examples in the field of education, health care, business and point out the essential value of stillness, contemplation, degrowth and slow movement. His ground-breaking book Theory U is also well worth a read if you want to delve deeper into new ways of being, how to actively co-create change and to "connect to the more authentic of higher aspects of our self". 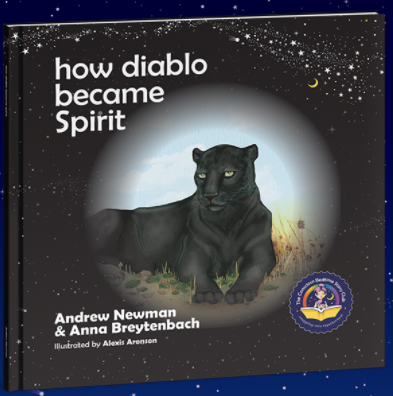 A lesson in listening, communicating and respecting all creatures, this children's book tells the real-life story of Spirit the black leopard as he transitions to a new, safe space at the Jukani Wildlife Sanctuary in South Africa. Through this story, told from Spirit's perspective, children learn to listen with an open heart as Spirit's caregiver Jurg and animal communicator Anna Breytenbach listen to Spirit's worries and fears, and respect his needs as he emerges from the night shelter he tucked himself away in for six months. Please click here for other conscious books for children. 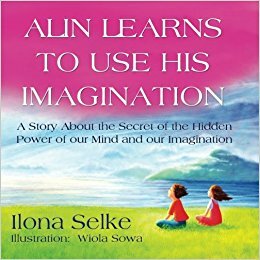 In this illustrated children’s book, Alin learns from his Genie how to develop imagery skills to transform the feelings of anger, hurt, etc., into feelings of courage and love. Step by step processes unfold throughout the fairy tale, which teach effective methods of changing negative states into empowered experiences and create magic. A great tool for parents.